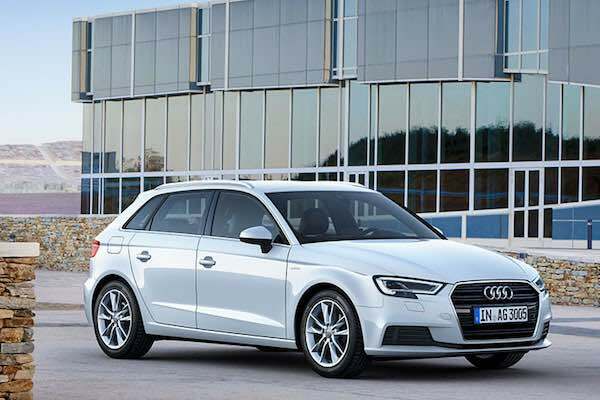 Audi AG, a German automobile manufacturer and member of the Volkswagen Group, is introducing the new model year Audi A3 Sportback g-tron with a technology update. Thanks to its increased tank volume, the compact model can cover around 400 kilometers (248.5 miles) (WLTP cycle) in natural gas operation. The Audi A3 Sportback g-tron forms part of an integrated and sustainable mobility concept from the brand with the four rings and is equipped with a new 1.5 TFSI engine producing 96 kW (131 metric hp). To enable the four-cylinder engine to run on methane, Audi engineers modified its cylinder head, turbocharging, fuel injection system and catalytic converter. Compared to gasoline, combustion of natural gas emits 25 percent less CO2 due to the lowest carbon content of all hydrocarbons. In addition, particulate emissions remain very low. 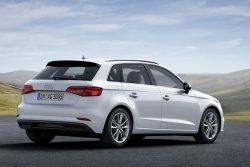 The Audi A3 Sportback g-tron arrives at the customer equipped with a seven-speed S tronic. In Germany, the Audi A3 Sportback g-tron costs EUR 30,600 (USD 34.300) and is available to order now.